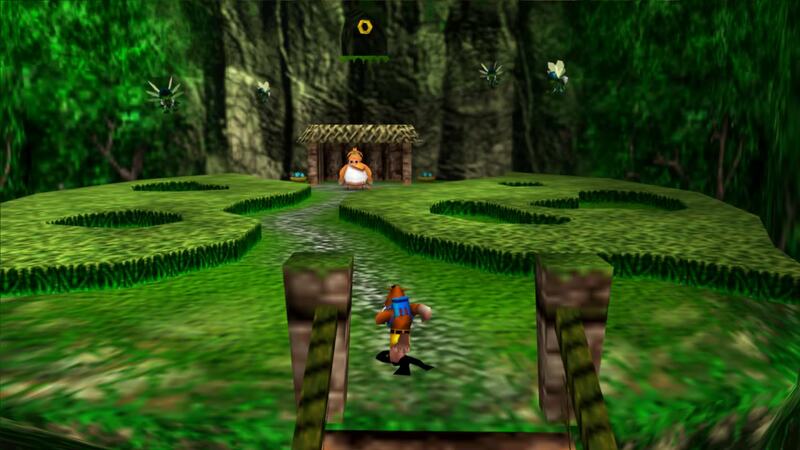 Краткое описание: Grunty returns—and that's bad news for Banjo and Kazooie! 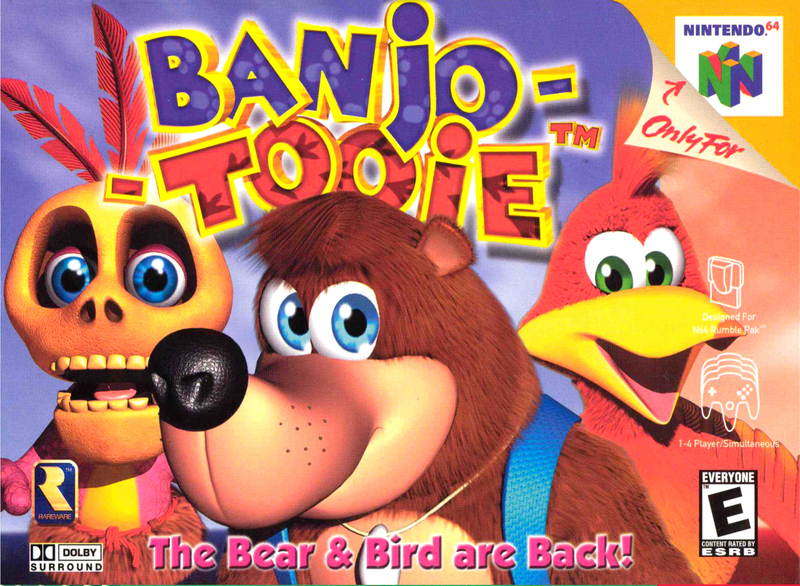 In this all-new adventure, combine everything you learned in the award-winning prequel, Banjo-Kazooie, with dozens of brand-new moves and abilities. Explore eight original worlds—like a monstrous factory and a dilapidated amusement park. Solve incredible puzzles that link those worlds together—sometimes you'll have to complete tasks in several worlds to solve a single puzzle! • Divide and conquer! 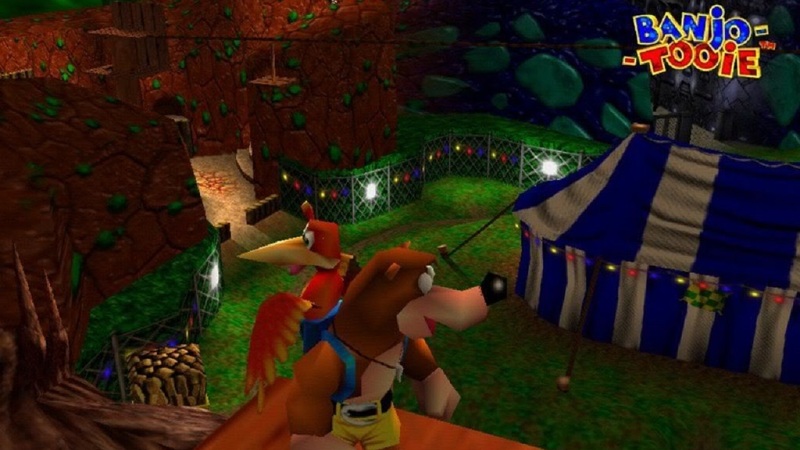 The bear and bird are back, and this time, they can split up and work alone. 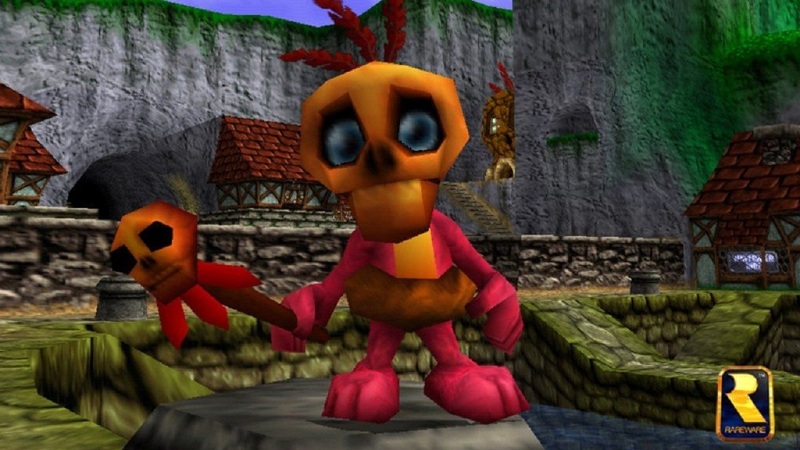 • Play as Mumbo! 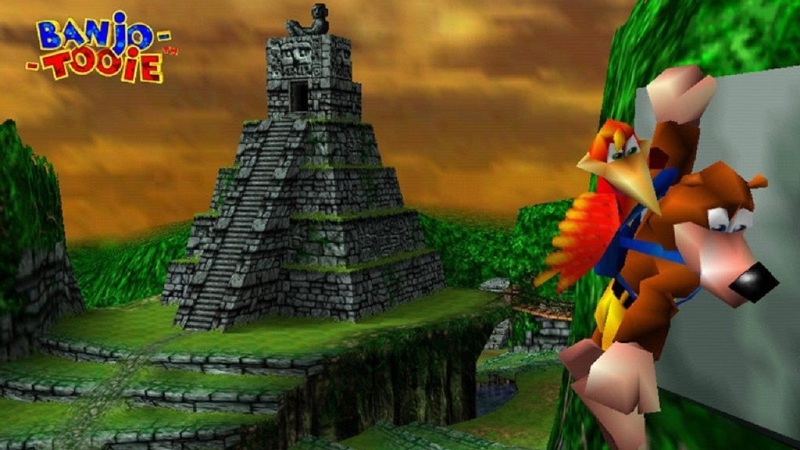 Now you'll get to take control of the bone-headed shaman himself. • Meet Humba Wumba! 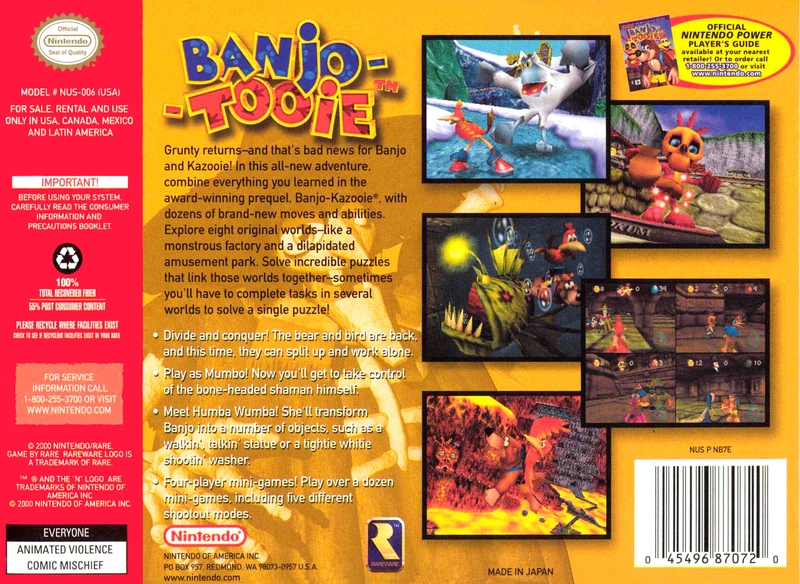 She'll transform Banjo into a number of objects, such as a walkin', talkin' statue or a tightie whitie shootin' washer. • Four-player mini-games! Play over a dozen mini-games, including five different shootout modes. 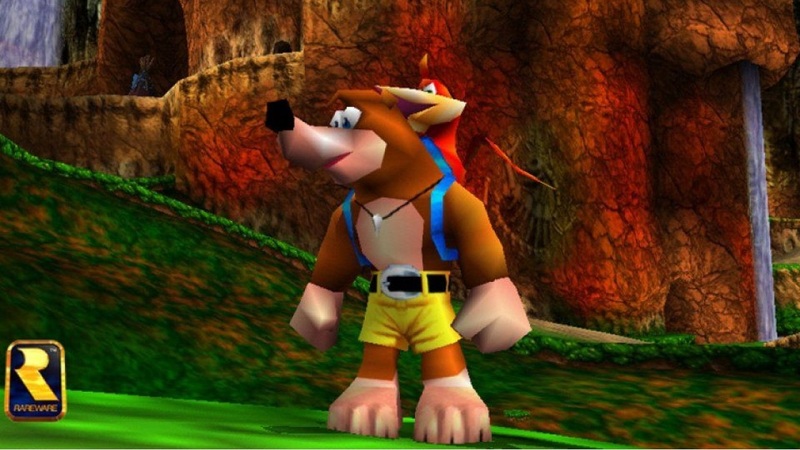 Grunty returns—and that's bad news for Banjo and Kazooie! 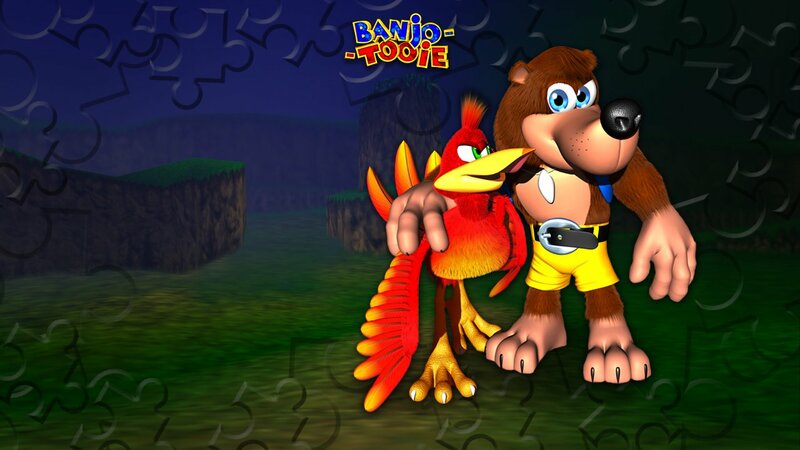 In this all-new adventure, combine everything you learned in the award-winning prequel, Banjo-Kazooie, with dozens of brand-new moves and abilities. 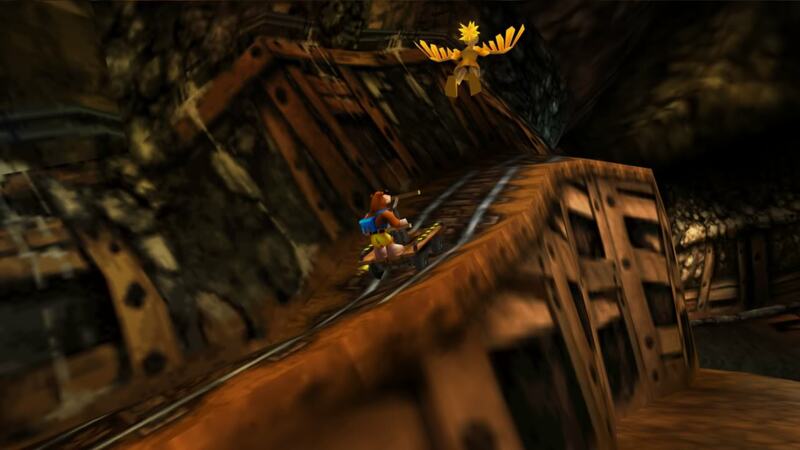 Explore eight original worlds—like a monstrous factory and a dilapidated amusement park. Solve incredible puzzles that link those worlds together—sometimes you'll have to complete tasks in several worlds to solve a single puzzle! • Four-player mini-games! Play over a dozen mini-games, including five different shootout modes.